Dramatically accelerates progress for any student! comprehension activities & record keeping database. TUTORING VIDEO: Use this when you can work one-on-one with a student and want to bring up their reading level fast! Students typically advance one year in 1 month using the special 4 steps for 20-30 minutes daily! Not an exaggeration. Click to watch video. Your program is truly the best I've come across in over 30 years of teaching. It took me about a half a year to convince my colleague but she is a die hard believer now! At conferences and workshops I am always telling my fellow teachers -- you've just 'gotta' try this. CLASSROOM LESSON: Use this powerful 20 minute activity with your class daily to advance student reading ability a solid 1 year during the school year (advance 2 years if used in the morning and afternoon). Uses a sequence of entertaining and highly effective memorization steps. Guaranteed to make any "grumpy" child smile! Click to watch demonstration video. Similar to ReadingKEY but done online and with many more features. Get passwords to access the program through the JOIN button above. You can also try our materials through the FREE TRIAL section. Come back to this page and click MEMBERS at top right. After logging in - click the ReadingKEY Weekly link. This is where we have all our program materials organized according to grade level and weekly lessons. Once in ReadingKEY Weekly, you need to first identify the grade and week in which you want to begin. You'll see a Grade Level link and also a red bar numbered from 1 to 36. The red bar corresponds to the 36 weeks in a typical school year. For example, week 18 would be the words typically taught at the middle of the year for the selected grade. You'll see hundreds of columns of words - identified by Grade Level and organized from most-common to least-common. The best starting point is where your student(s) can read the words correctly, but is having a little difficulty reading them easily (fluency). In otherwords, find the words where they can be read easily, then try advancing list by list until your student stumbles or hesitates on saying the words. This will be your starting lesson. Remember, the goal is to insure students can read all words correctly and easily (1/2 to 3/4 second) prior to your official starting lesson. Below the weekly (lesson) red bar you'll see links for Classroom List - Student List - Vocabulary Worksheets - Homework and Friday Test. Each of these links brings up the appropriate materials for just the words taught during that week. This allows you to download just what you need at this moment - keeping things highly organized! So, just to review, use the Classroom List to teach a roomful of students and use the Student List to teach one student in a tutoring situation. 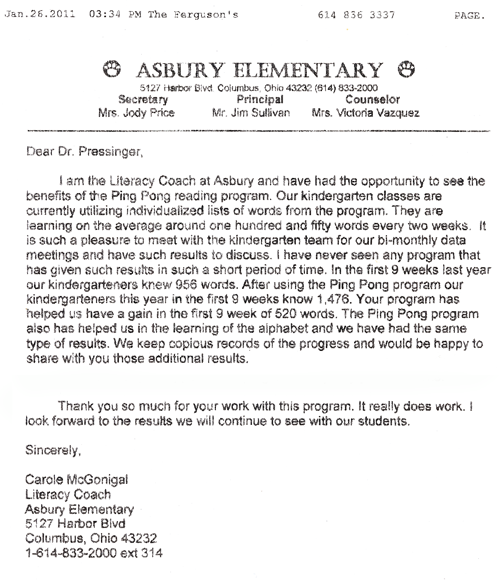 While the Classroom List Program insures all students keep a steady one year progress of one year's time, the Student List is astounding in its efficiency and typically results in one year's progress in 1 to 2 months with 20 minutes of daily instruction! Let's get started, JOIN from the link above or click the ReadingKEY FREE link. We give a full 30 day money-back guarantee if not satisfied for any reason.